Characters: 5 I loved Simon from the very first page. He has the most amazing voice to carry the narrative. The other characters are also well developed, from his friends Nick, Abby, and Leah to Blue and Martin, the antagonist. I loved the major friendship stories in this book as well as the romance. All of the characters were well balanced, complete, and had their own lives independent from Simon. Plot: 5 The story kept up with the amazing characters. Albertalli blends all of the elements of real life together to make her narrative feel especially whole. 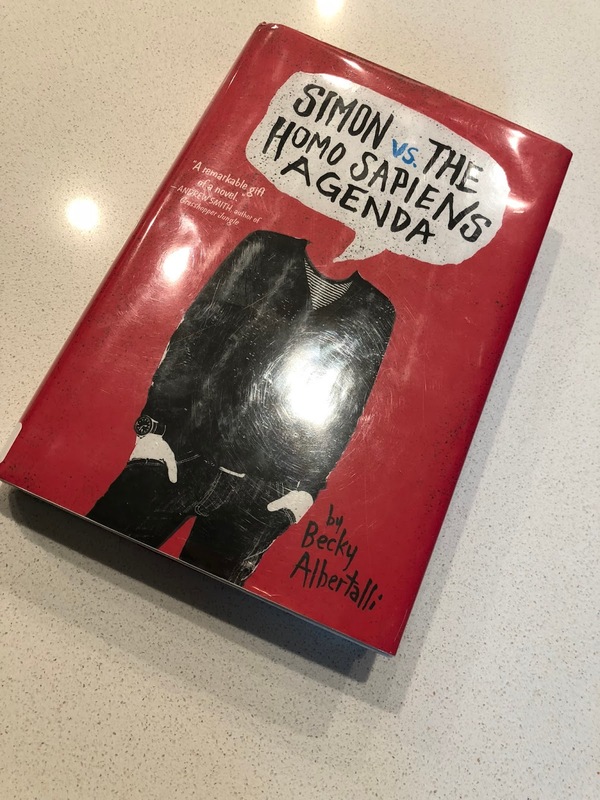 Simon's friends, with their own issues with Simon and each other, his classmates, Blue, and his parents all come together to make Simon, and we can see the individual ways they influence him as well as the collective effect. The plot feels like following someone's regular life, just as a contemporary novel should. Writing: 5 While the story is both important and super cute, Albertalli especially nails the secret sauce of any novel, pacing. I recently have been on a spree of not finishing books after 50 or 150 pages. This is because the story seems to drag on and on, headed to nowhere. Becky grabbed me from the first page and held me captive in the story. She writes such an unassumingly bold, impactful story that the major messages from the themes slide right into your brain with little notice while your laughing with Simon. I wasn't sure how I would feel about this book starting out after having been luke warm on the Upside of Unrequited, but this book truly lives up to the hype. I loved her cast, and I can't wait to read Leah on the Off Beat and share my review Love, Simon, which I'm posting on Wednesday.